This is the detachable audio cable that attaches to the H850 headphones. The cable is available in 4 feet (1.2 metres) or 6 ½ feet (2 metres). Phil Jones, the found of Acoustic Energy, personally tunes the Edifier H850 headphones. The H850 are calibrated to deliver a clean and clear sound signature. The H850 is made with an ergonomic design and provides relaxing comfort. Feel the comfort thanks to the high-quality insert sponge and leather ear cups for long lasting listening sessions. The frame feels incredibly lightweight without feeling cheap. After a long listening session you will forget that you are wearing headphones. 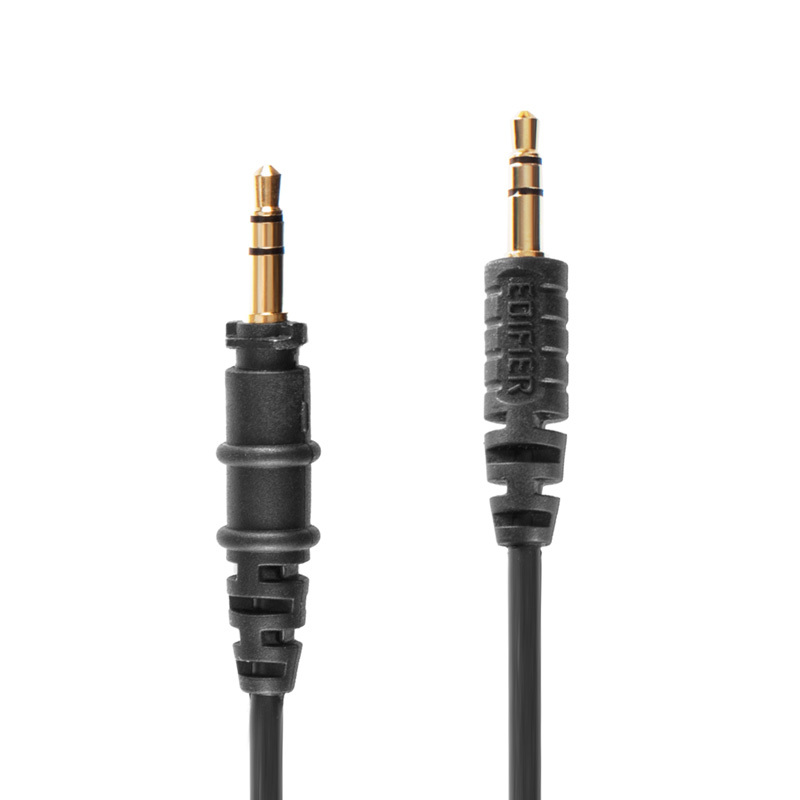 The H850 headphones come with a 3.5mm detachable gold connector cable used for connecting the headphones to any listening device such as smartphones, laptops, computers, mp3 players and dedicated audio players. The gold connector is made for having a stronger connection between the headphones and the audio player. These headphones also come with a ¼ inch adapter used for connecting the headphones to other sound equipment such as amps. The H850 headphones are Edifier’s top tier flagship headphones made for audiophiles. Listening to music has never been more accurate. These headphones have received high-ranking reviews from Head-fi and YouTube claiming that these headphones beat out the largest brands on the market. Priced well below the $100 price point you can enjoy high quality music without breaking the bank.